International partnerships provide dynamic and diverse opportunities to build and expand linkages with post-secondary institutions around the world. 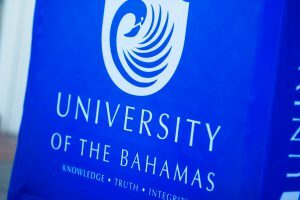 Cultivating mutually beneficial partnerships is a key priority to building academic excellence, expanding research agendas, increasing international experiences for students and positioning University of The Bahamas as the primary national tertiary-level institution and the prime destination for international students interested in academics and research. Through its predcessor The College of The Bahamas, UB maintains strategic alliances with many academic and professional organisations and post-secondary institutions and networks around the world. These partnerships provide opportunities for student and faculty exchanges as well as study abroad, both of which are conduits for an infusion of new knowledge and more informed global perspectives.